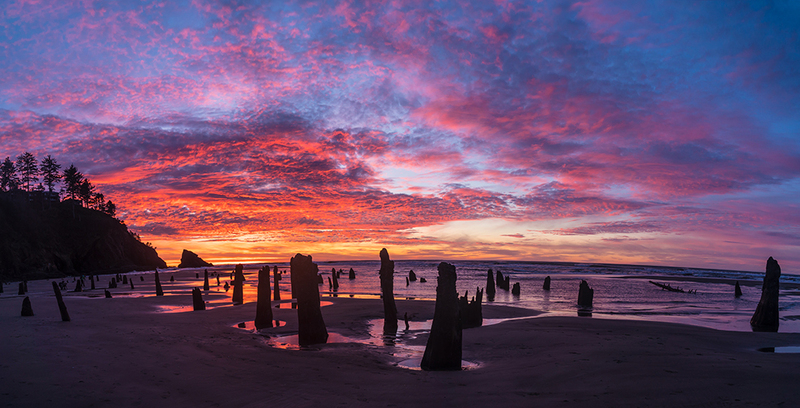 Yesterday, New Years Eve, I spent a few hours capturing one of the most spectacular sunsets I have ever witnessed. In 1997-98 a series of storms unearthed these ancient (we are talking 2000+ year old) spruce tree remnants where a forest once existed. During a minus tide, these fossilized trees are revealed. Yesterday was just that sort of day, minus tide peaked at 4:44pm, Sunset at 4:45pm (which I had identified a month ago). Minus Tide and Sunset collided in to Nature's Magnificence!